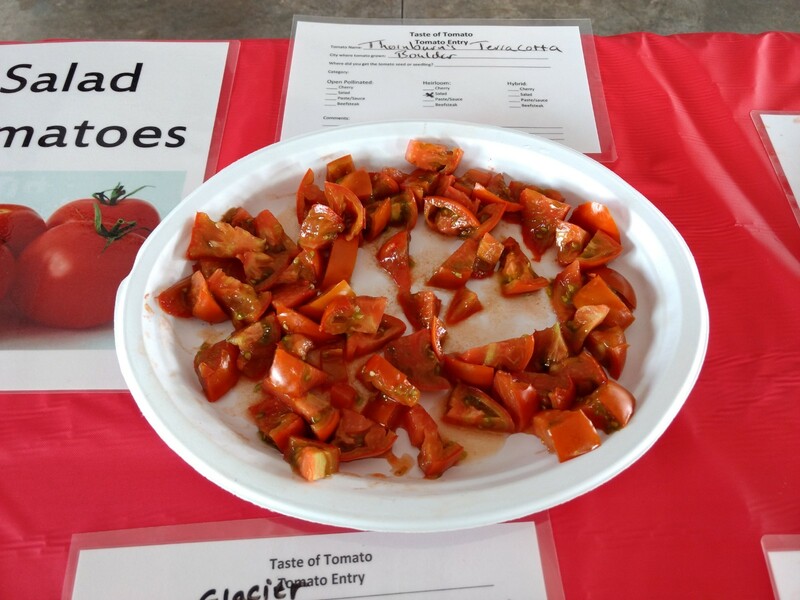 This year’s Taste of Tomato was a blast! We love the new location at Growing Gardens’ http://www.harlequinsgardens.com/wp-content/uploads/2018/08/IMG_0725.jpgBarn, with its’ beautiful view of the Flatirons, easy access, and wonderful staff. 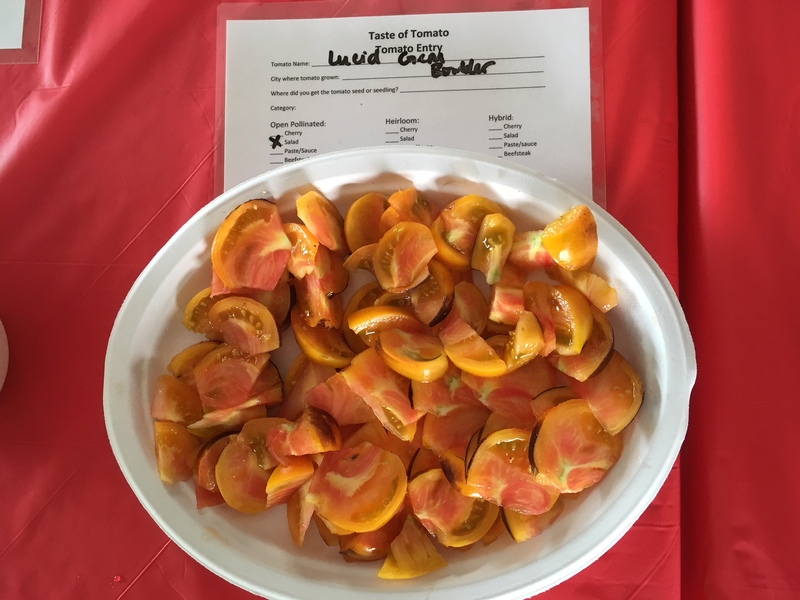 The tasting featured 44 different varieties of tomatoes, with Aunt Ruby’s German Green winning the greatest number of votes. Participants brought in some wonderful new varieties this year, including Brad’s Atomic Grape, Thornburn’s Terracotta, and Indigo Cherry. Look for the most popular varieties from this year and previous years when you come to buy your organic tomato starts next spring at Harlequin’s Gardens. Every year we grow 80+ great varieties for all kinds of uses and growing conditions! Savor the Flavors of Dozens of varieties of Home-Grown Tomatoes! Learn about Tomato Growing and Care! Find out which tomato varieties you want to grow in your own garden or buy from your local farmers! You will be able to vote for 6 of your favorite tomatoes. Voting results will be assembled and emailed to participants. Results will also be posted at www.HarlequinsGardens.com. Master Gardeners and Harlequin’s Gardens staff will be on hand to answer your tomato questions. This is always a lot of fun, and educational, too!